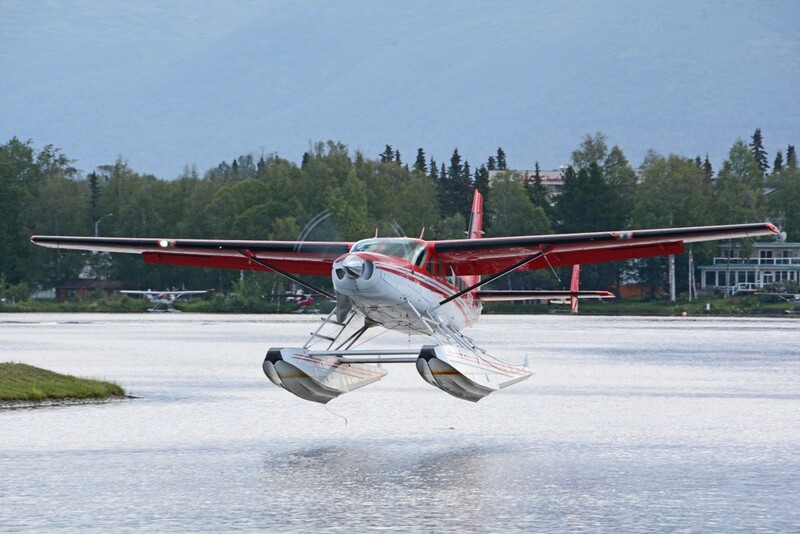 Known officially as the Ted Stevens Anchorage International Airport, the 49th state’s largest and busiest airport is really comprised of three airfields that operate as one cohesive and spectacular aviation beehive. 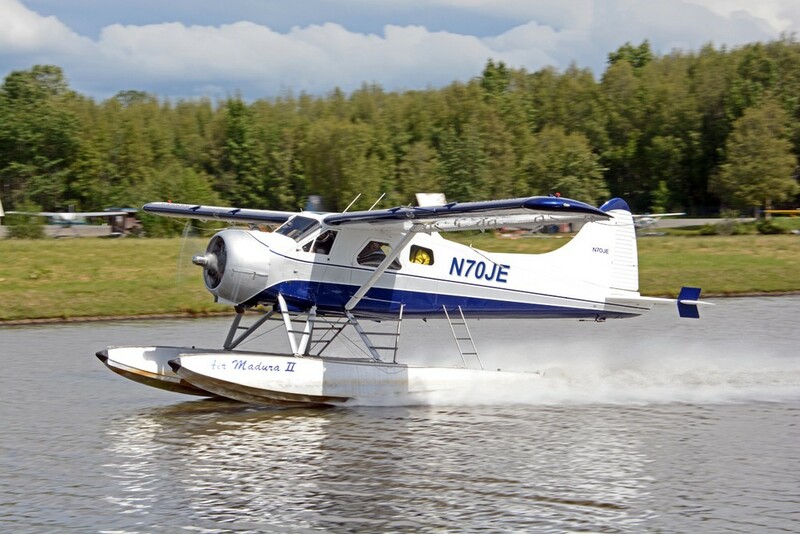 Two smaller facilities sit just east of the huge international jetport and it’s multiple two-mile long perpendicular runways; these smaller facilities contain both water and gravel landing areas. 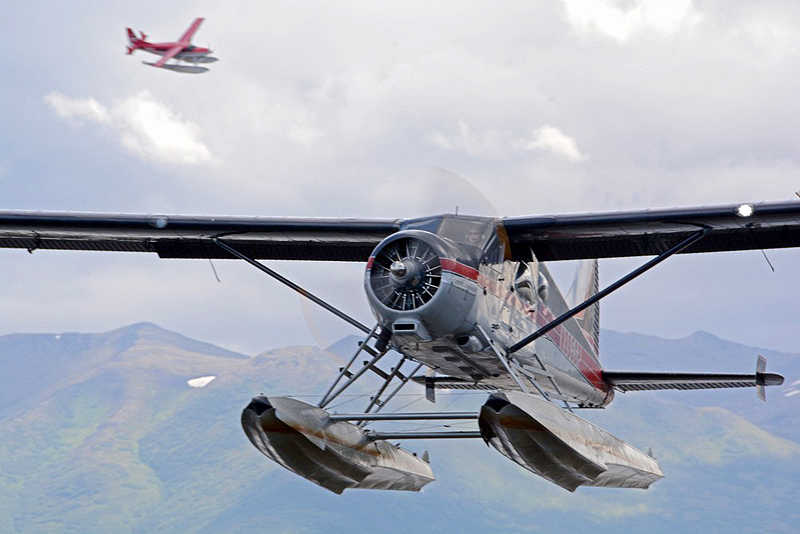 Don’t let their size lessen their importance though, as the Lake Hood Seaplane Base (identified as either LHD or PALH) is the largest and the busiest seaplane base in the world, and the adjacent “gravel strip” (formerly identified as Z41, now officially part of LHD) allows many bush planes to fly directly to and from Anchorage and remote lodges and camps. 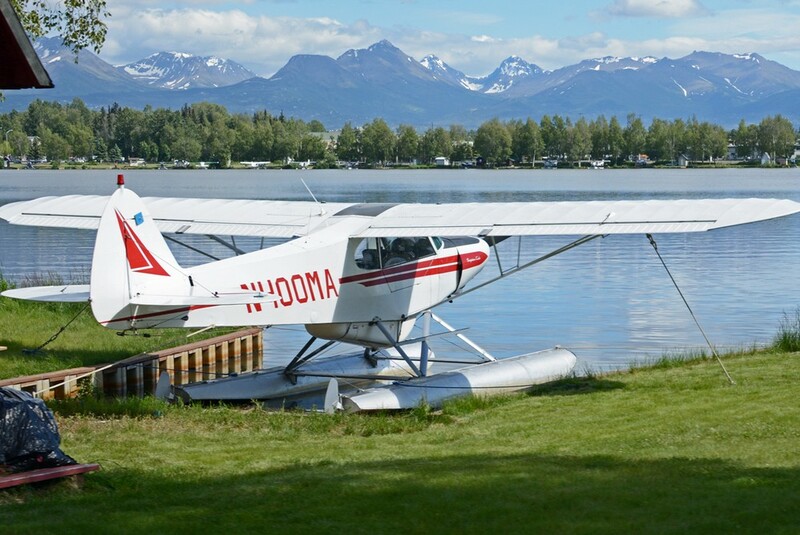 Initially, the Lake Hood Seaplane Base was one of several small airports and waterlanes (water runways) that served Anchorage, as aviation began to flourish in the Territory. 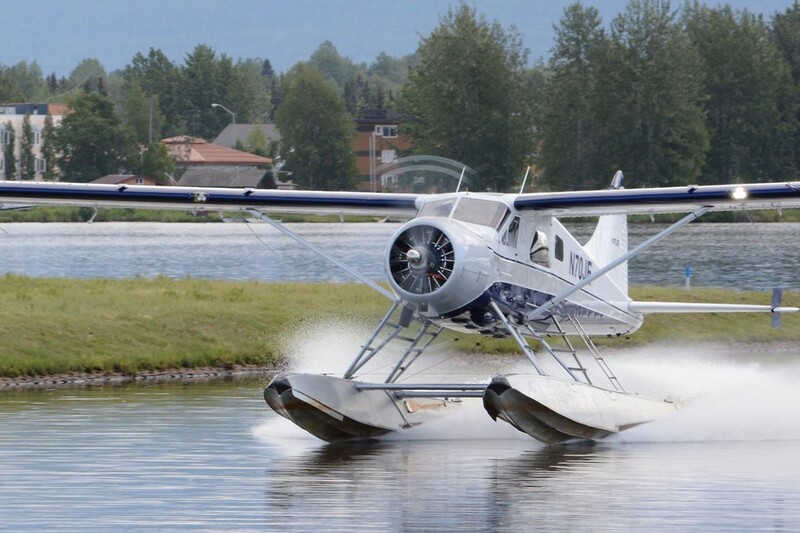 The seaplane base has grown as demand for it increased over subsequent decades. In 1938, a channel was dug between Lake Hood and Lake Spenard, an adjacent body of water. 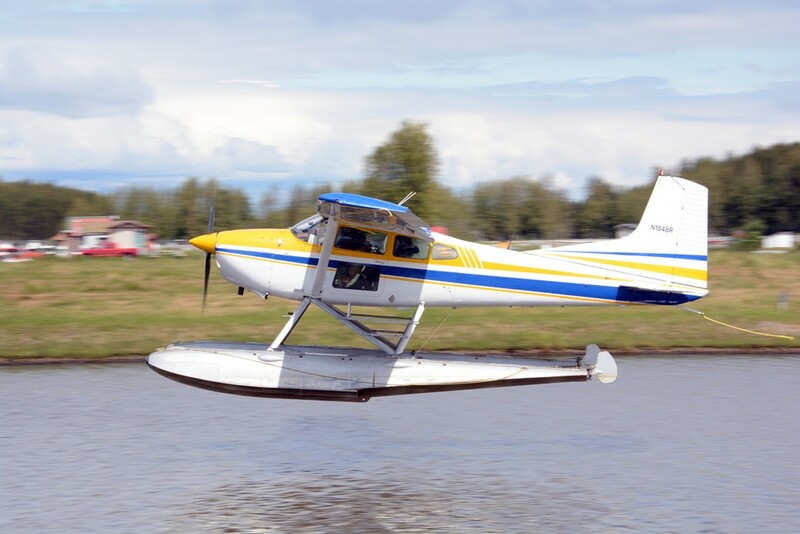 The channel was designated as a waterlane, enabling much longer takeoff runs for seaplanes operating from either body of water. 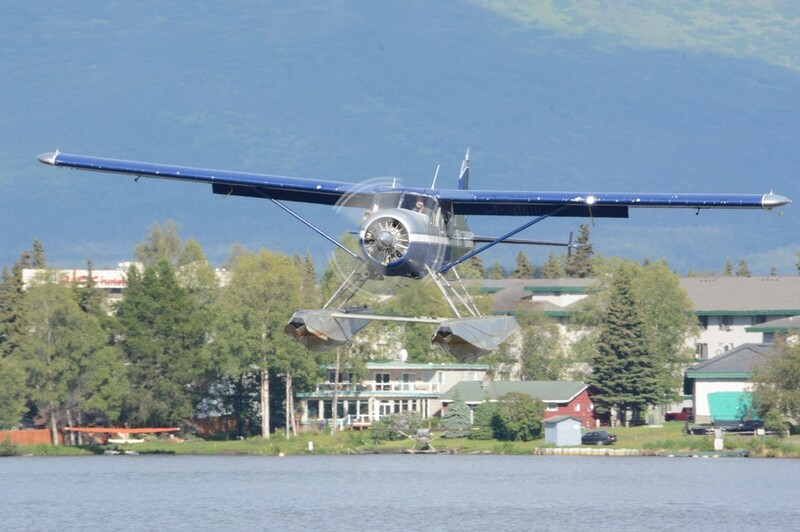 A gravel runway near the lake was completed in 1940. 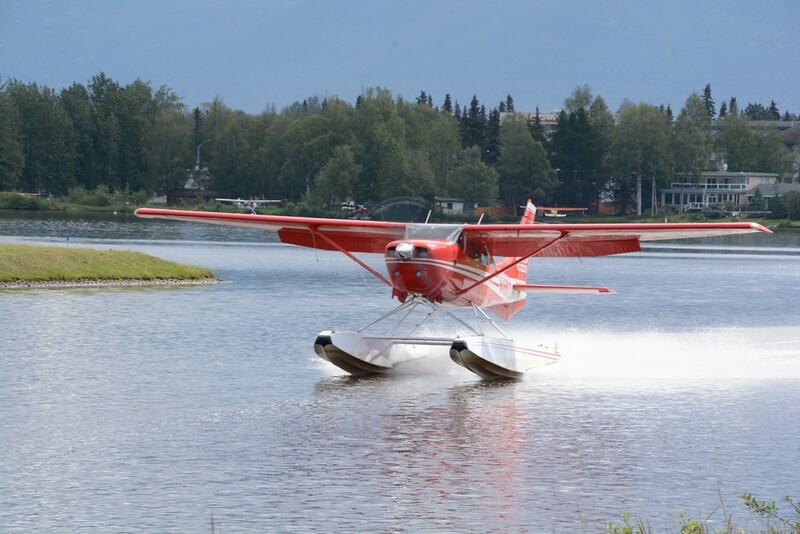 In 1953 a large international airport was opened, located just to the south and west of the two lakes; ramps and taxiways connected the facilities for amphibious aircraft operation. 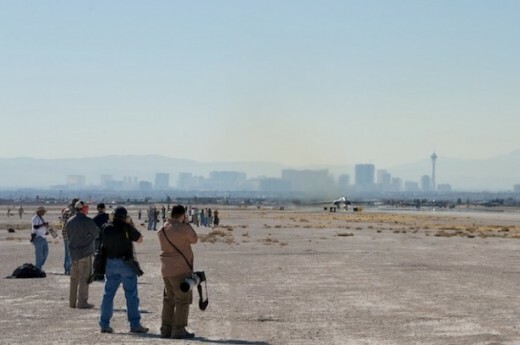 Separate ATC towers operated at the seaplane/gravel strip side and the” international airport” side. 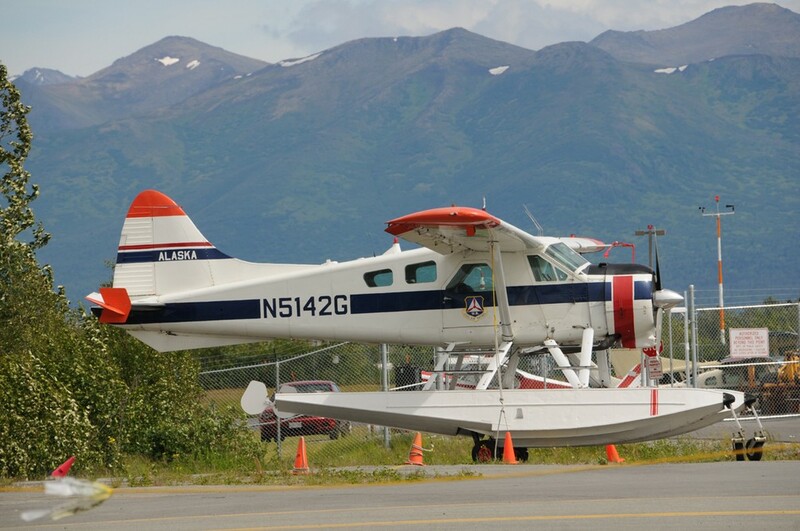 In 1964, a major earthquake occurred in Alaska, and the ATC tower on the international side of the airport collapsed. 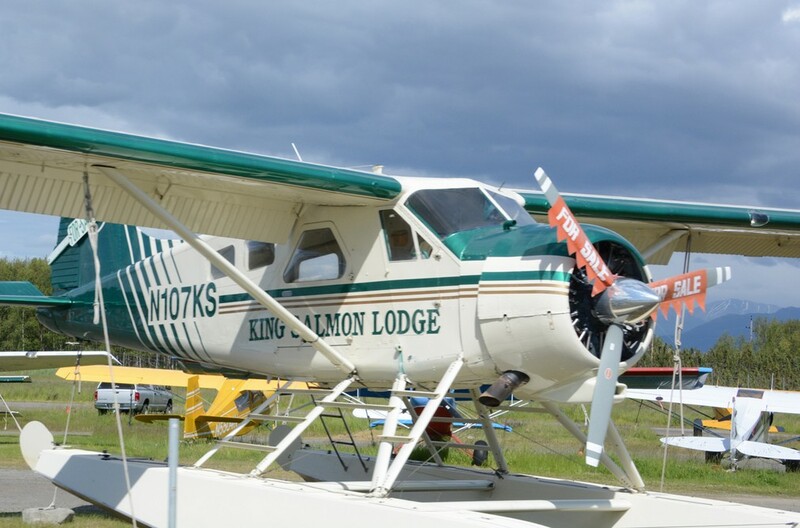 The Lake Hood tower took over the entire airport structure until an emergency building was set up to split the workload again. 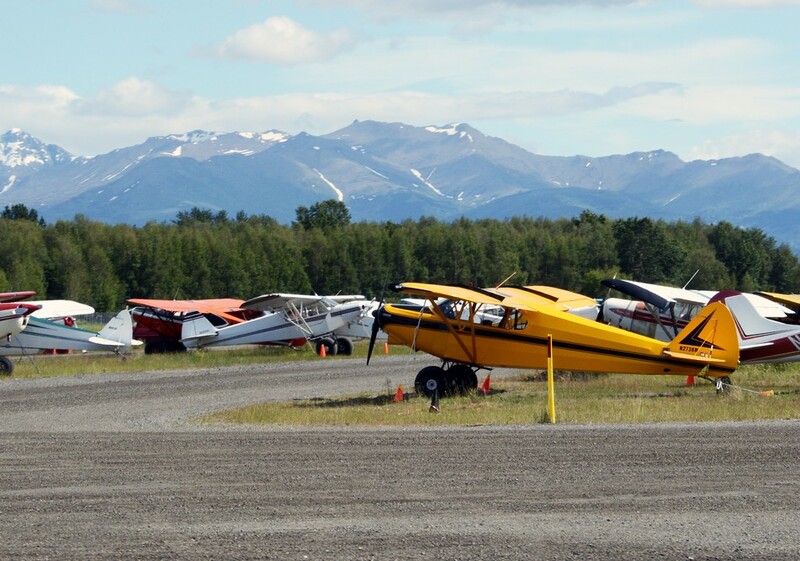 The original gravel airstrip (now called the “Lake Hood Gravel Strip”, some 2200 feet long ) was moved and realigned from one side of Lake Spenard to its’ current location in 1972. 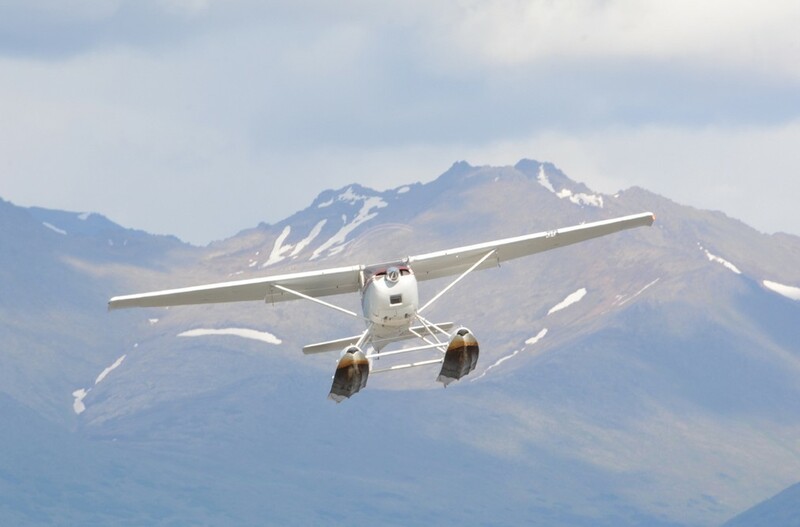 One source maintains that gravel is more convenient for larger-tired bush planes than the asphalt and concrete runways next door. 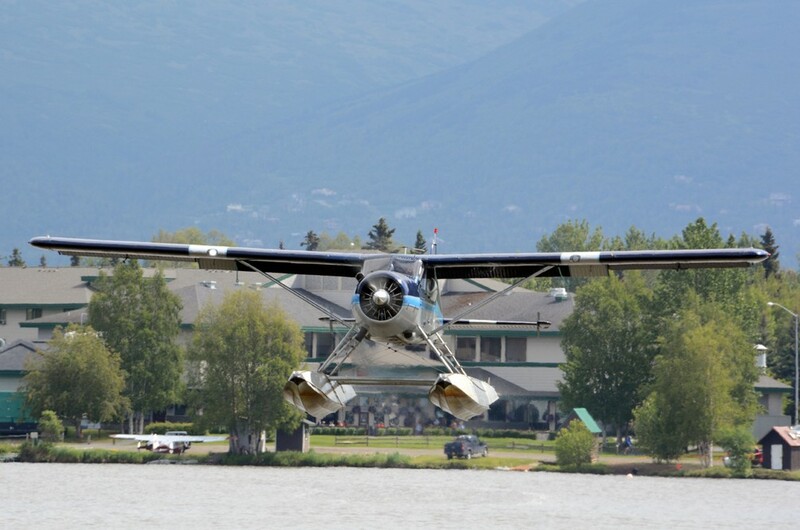 In 1975 a large construction project enhanced the seaplane base’s operation. 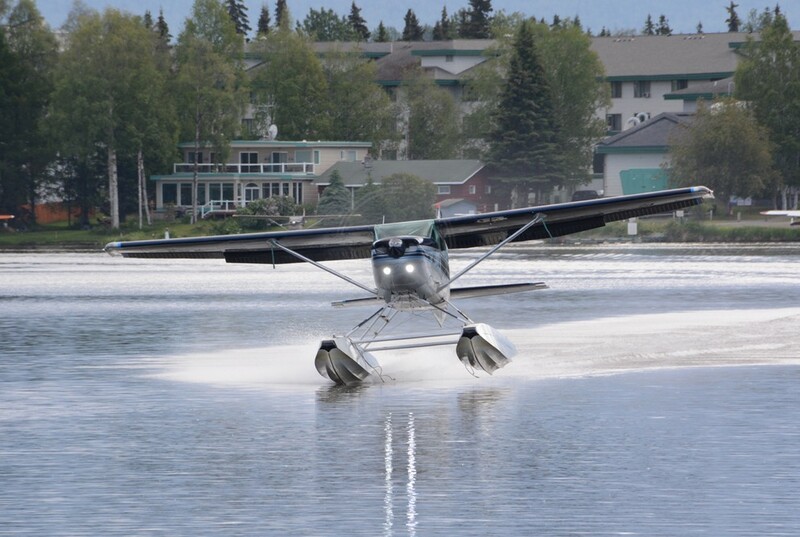 A second channel was carved out to serve as a parallel taxiway to the original canal between the two lakes and five “fingers” of water were dredged to greatly boost parking facilities at the base. In 1977 a new, permanent ATC tower opened on the international airport side, and Lake Hood Tower operations were absorbed in that building. 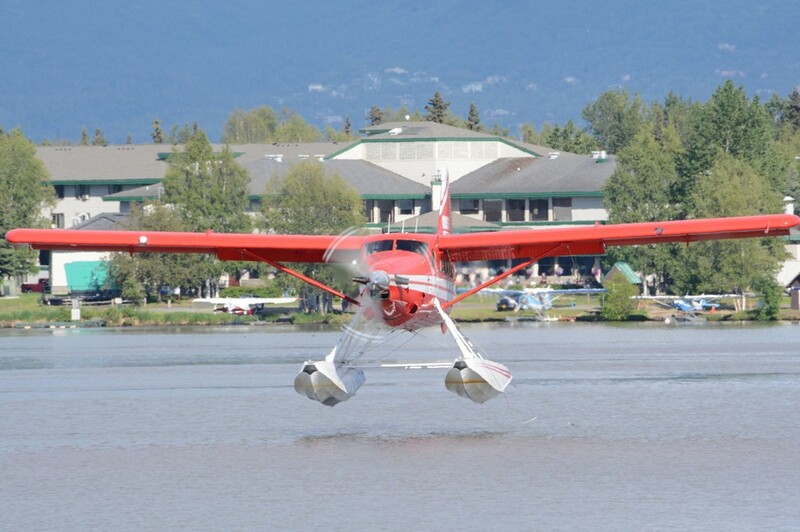 Years ago, the Lake Hood Seaplane Base became the busiest and largest airport of its kind in the world, and retains that title today. There are three waterlanes in use; the longer channel and a pair of shorter lanes in Lake Hood. One estimate shows close to 1,000 aircraft are based at the airport; several hundred more are reportedly on a waiting list. 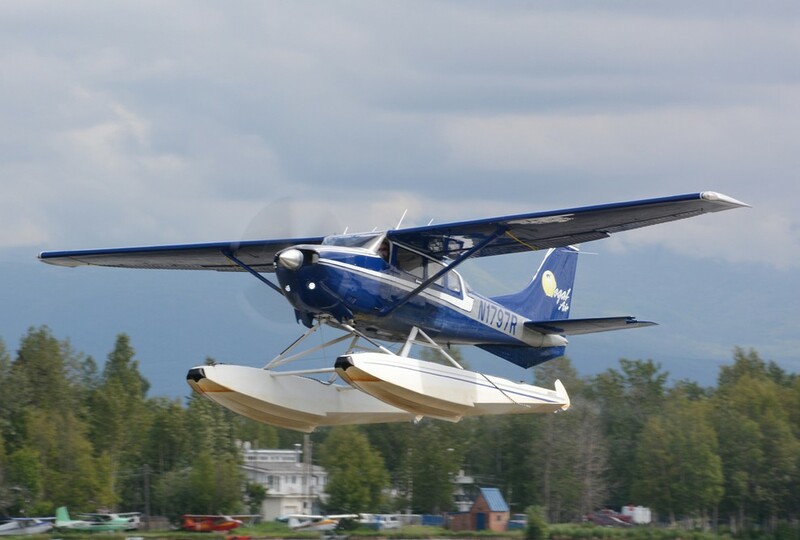 Close to 200 daily operations (yearly average) from water and gravel, both private and commercial, use the airport surfaces. 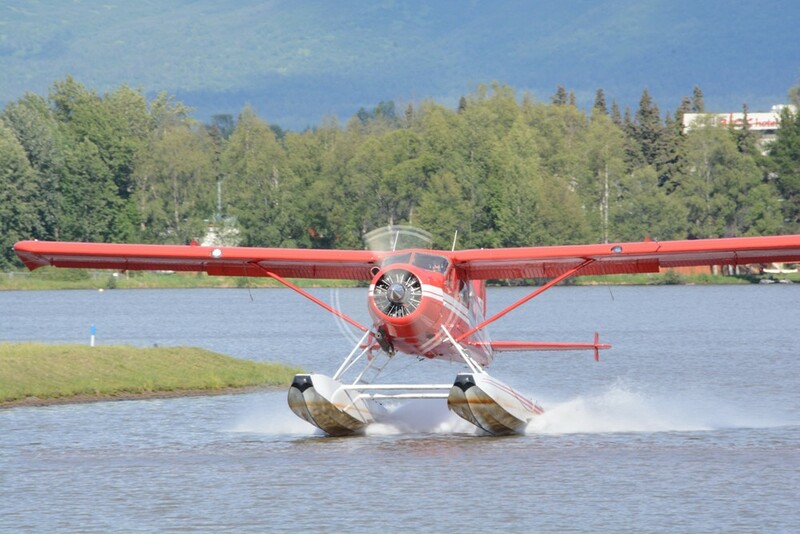 Summertime is the busiest season… in June 2012 an average of 439 daily flight operations occurred for that month. 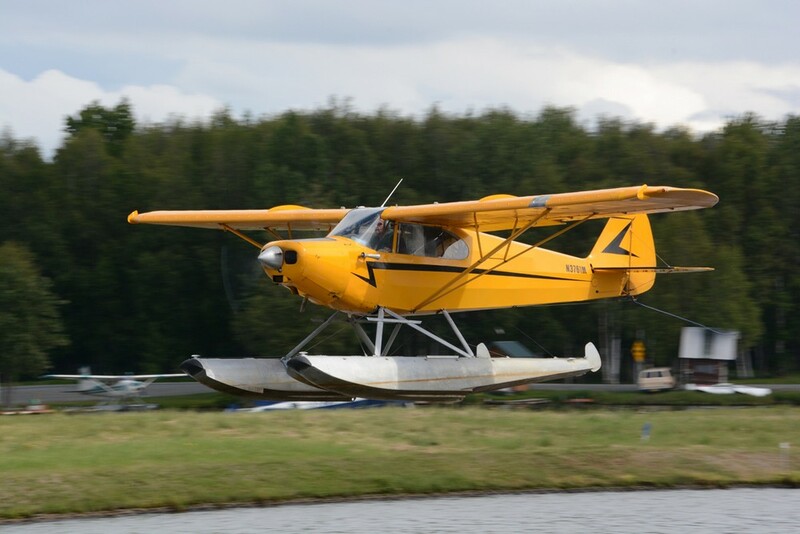 Floatplanes ranging in size from Piper Cubs to DHC Otters and Cessna Grand Caravans call Lake Hood home. 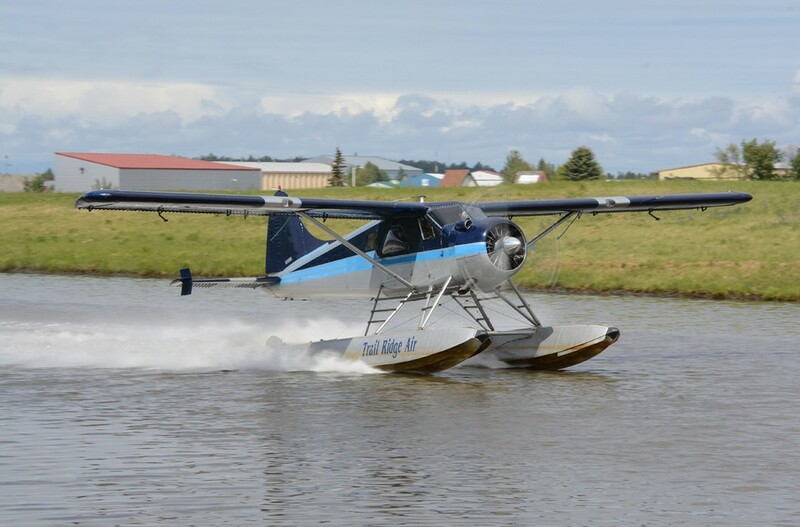 A surprisingly large amount of radial-engined DHC-2 Beavers still ply the skies from the water and gravel runways, with occasional turbine Beavers and Otters weighing in too. 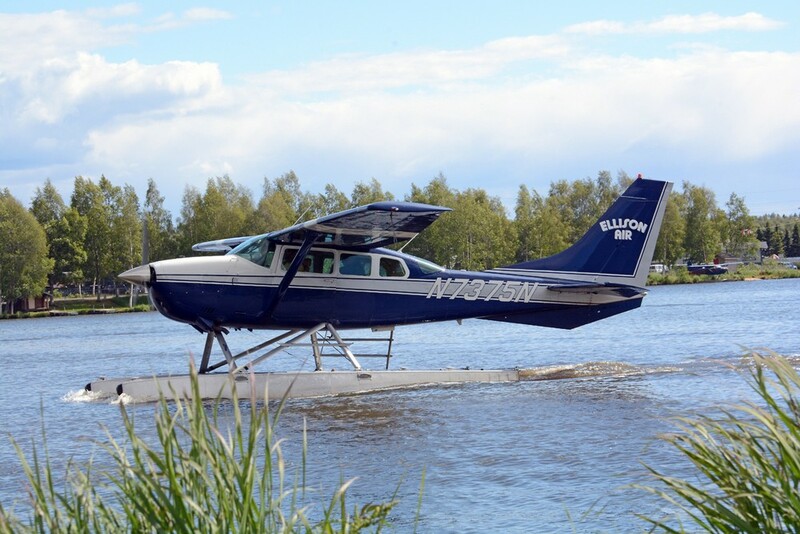 Flightseeing, transport to remote camps/lodges, and supply missions are just some of the reasons why people fly to and from the Lake Hood facilities. 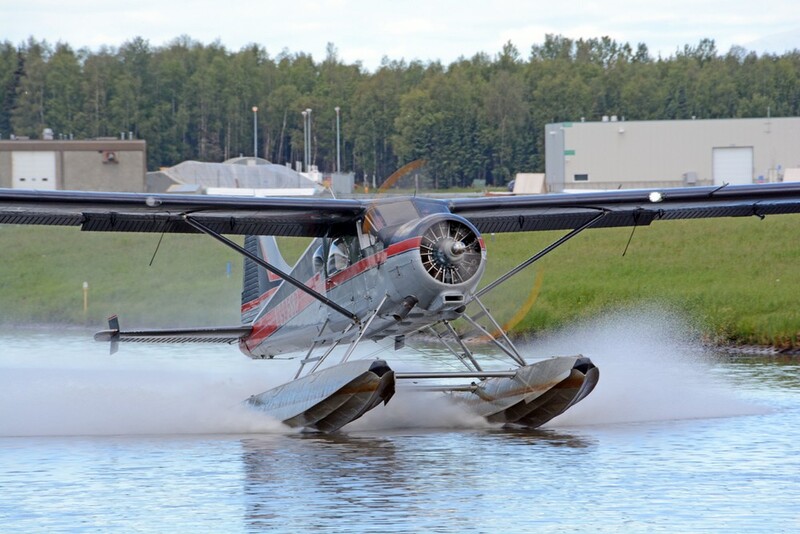 Winter snow, ice and darkness doesn’t impact the airport very much; there’s runway lights on the edge of the water channel for nighttime water landings and departures, and ski-plane operations are supported and encouraged. Public spectators have a great opportunity to watch seaplane operations from the Alaska Department of Transportation parking lot just south of the canal that connects the two lakes. 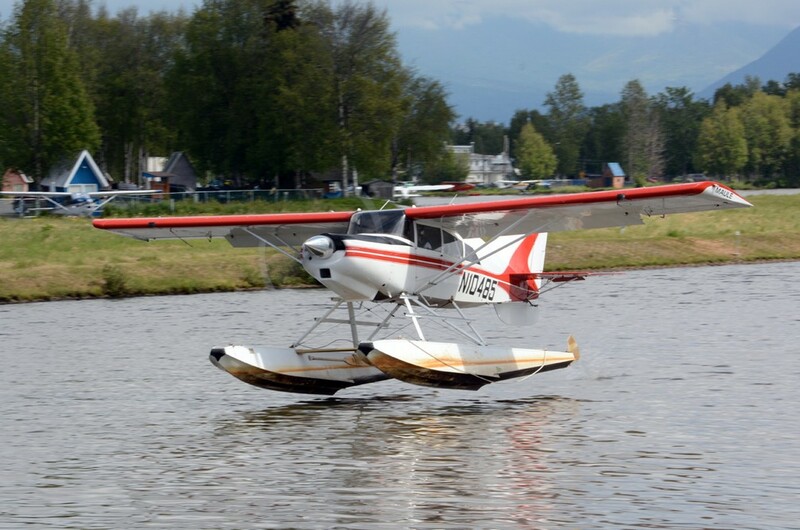 During the right weather conditions, floatplanes are within a few hundred feet of the edge of the parking/viewing area either taking off from or alighting on the water. 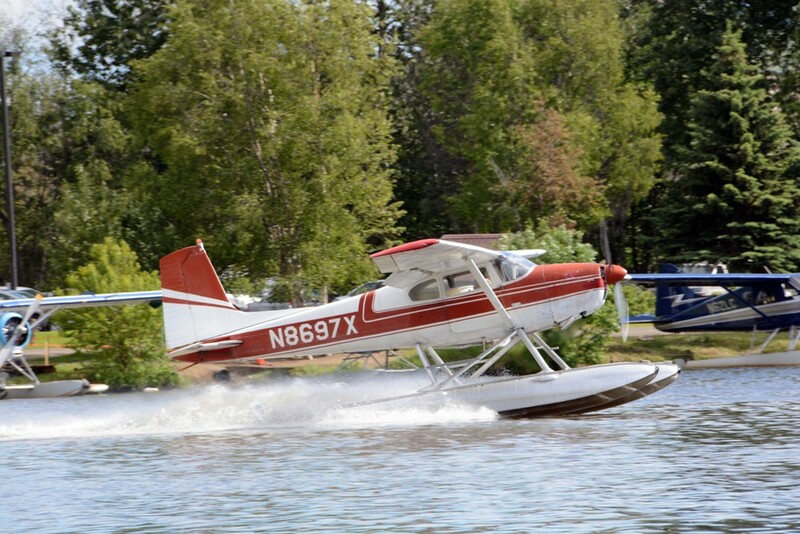 To drive around the Lake Hood Seaplane Base, one has to share the road with taxiing aircraft… there are pilot-controlled gates that allow them to cross roads while cars stop… of course the planes have the right of way. 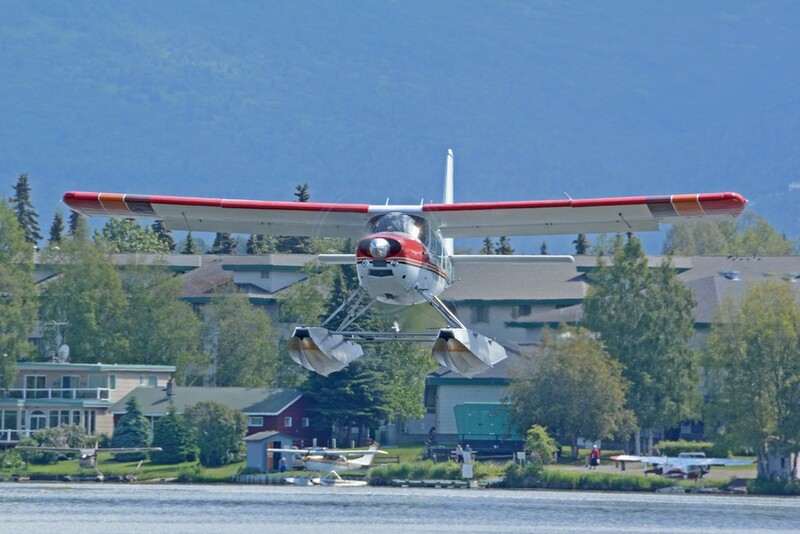 Looking around, there are brightly painted shacks and small structures that contain maintenance equipment for their nearby floatplanes. 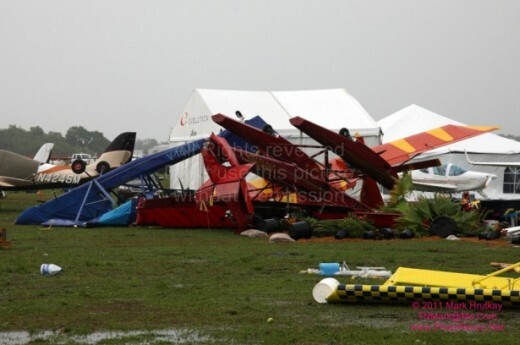 There are sets of floats that sit awaiting an airframe to be mated to as well. 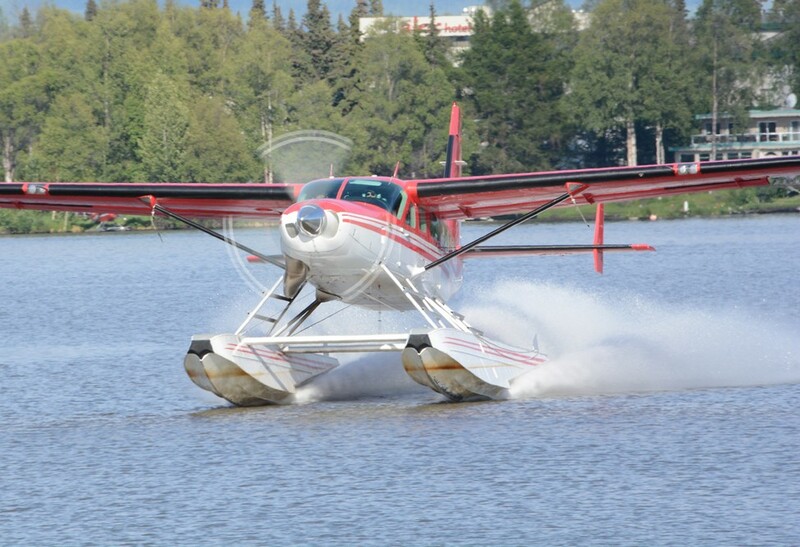 As large Boeing freighters climb into the sky a mile away, another floatplane descends onto the calm waters of Lakes Hood and Spenard; more arrivals dot the horizon. 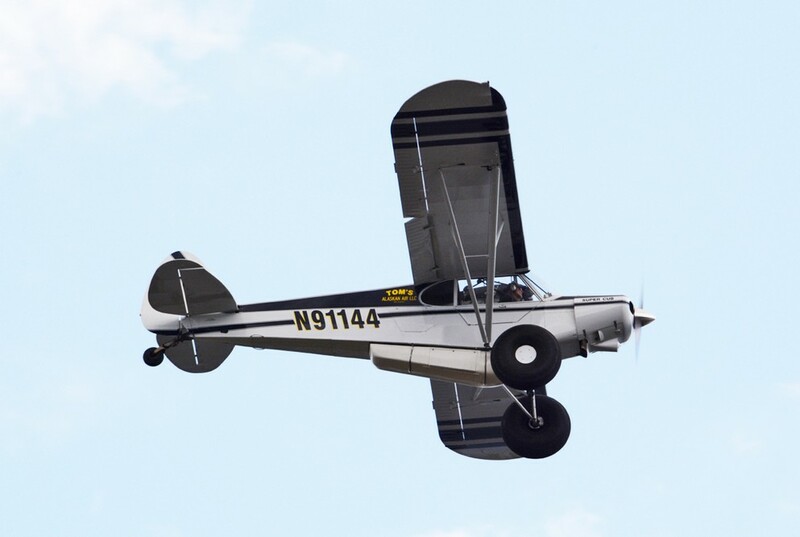 The roar of turbofans mingles with the rumble of a piston radial engine. 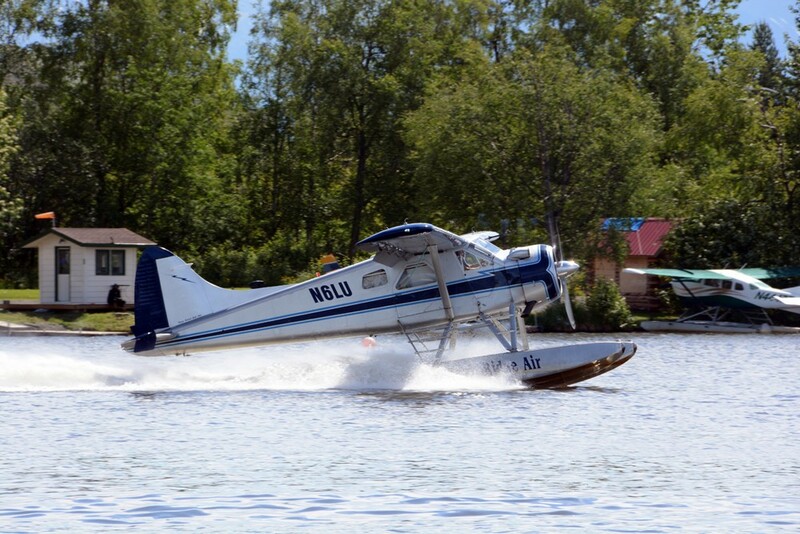 Such is the norm on a summer day at the Ted Stevens International Airport’s Lake Hood Seaplane Base.